NFL players drafted in 2014 and 2015 are still in their mid-20s. So it stands to reason that each member of those top 10 classes should still be anchoring the rosters of the teams that selected them. With Blake Bortles, Kevin White and Ereck Flowers all being flushed in the past week, nine of those 20 top-10 picks now have been moved or been allowed to move on from the teams that drafted them. Two are with their third team. One — 2014 eighth overall pick Justin Gilbert — has been out of the league since 2016. Mailbag: What could the Vikings get for trading a starting cornerback? Bortles was the third overall pick of the Jaguars in 2014. Jacksonville made a costly mistake in extending his deal after the 2017 season and paid for it by having to cut him and absorb $16.5 million in dead money after giving $50 million guaranteed to Nick Foles. Everyone but the Jags saw that one coming. Of course, this came five months after the Jags dumped 2015 No. 3 overall pick Dante Fowler at the trade deadline for a third-round pick this year and a fifth-rounder next year. With Bortles on to the Rams as a backup, four of the top five picks from 2014 are now with teams that didn’t draft them. Only No. 1 overall pick Jadeveon Clowney of Houston remains with the team that picked him. No. 2 pick Greg Robinson is in Cleveland after flaming out with the Rams and Lions. No. 4 pick Sammy Watkins, now with the Chiefs, also is on his third team without a Pro Bowl. Then there’s Oakland. The Raiders picked good to great top-5 players in 2014 and 2015. But then they changed management and no longer wanted said good to great players. But at least they got three No. 1s as part of the deals that unloaded 2014 No. 5 overall pick Khalil Mack and 2015 No. 4 overall pick Amari Cooper. That’s a heck of a lot more than the discombobulated Giants have to show for two top-10 picks in 2015 and 2016. Last fall, they dumped 2016 No. 10 overall pick Eli Apple for a fourth-rounder this year and a seventh next year. 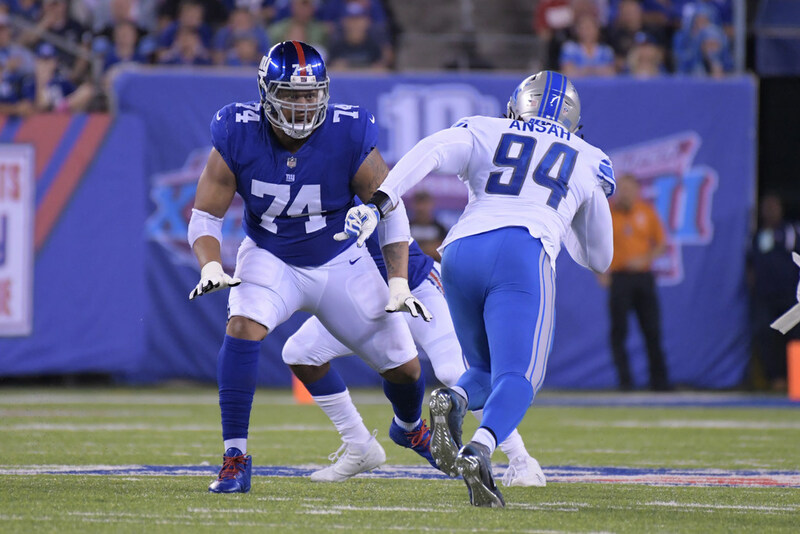 And this week, they let massive underachiever Ereck Flowers — the ninth overall pick in 2015 — walk. He joined the rival Redskins. Washington gave him a one-year deal for $4 million. Hardly the second contract you’d expect for a top 10 pick who has yet to turn 25. Food for thought when discussing Vikings linebacker Anthony Barr and whether his sack stats are flashy enough on one of the league’s top defenses. In 2014, the Vikings had the eighth overall pick. They wanted Barr. Cleveland wanted cornerback Justin Gilbert bad enough to trade up one spot. Five years later, Barr has more Pro Bowls (four) than Gilbert had starts (three) in his two seasons with the Browns.